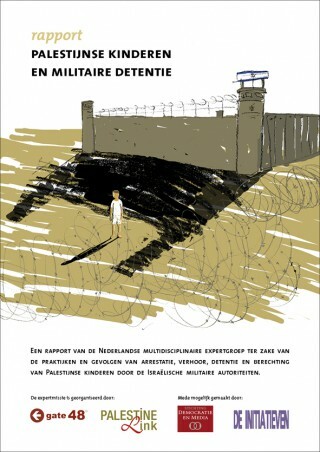 Palestinian children and military detention. A report of a Dutch multidisciplinary group of experts on the practice and impact of arrest, interrogation, detention and adjudication of Palestinian children by Israeli military authorities. The report was presented on the 17 April 2014 at the foreign affairs committee in the Dutch parliament. The report is the outcome of a visit to Israel Palestine that was organize in November 2013 by gate48 and Palestine Link.